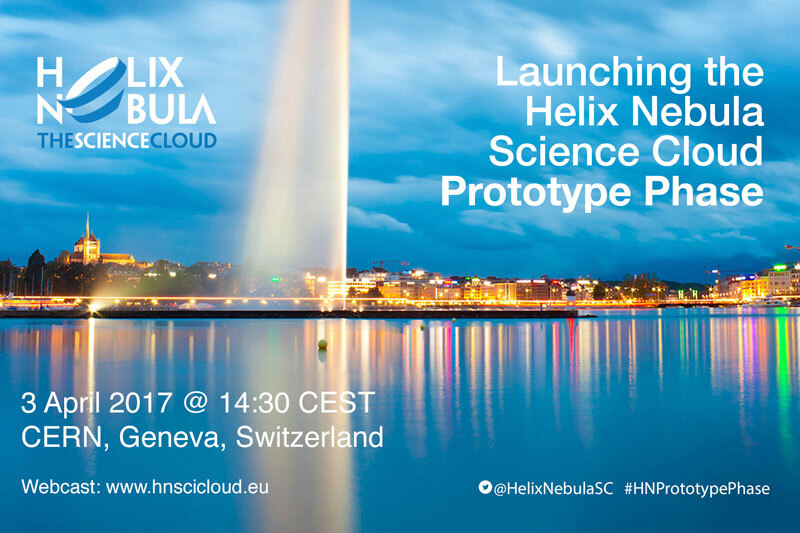 On the 3 April 2017 14:30 CEST, the awards ceremony for the successful contractors moving to the Prototype Phase of the Helix Nebula Science Cloud Pre-Commercial Procurement is taking place at CERN, in Geneva, Switzerland. In November 2016, 4 Consortia won the €5.3 million joint HNSciCloud Pre-Commercial Procurement (PCP) tender and started to develop the designs for the European hybrid cloud platform that will support high-performance, data-intensive scientific use-cases. At the beginning of February 2017, the four consortia met at CERN to present their proposals to the buyers. After the submission of their designs, the consortia were asked to prepare their bids for the prototyping phase. In early April the winners of the bids to build prototypes will be announced at CERN during the “Launching the Helix Nebula Science Cloud Prototype Phase” webcast event. The award ceremony and the presentations of the solutions moving into the prototyping phase will be the focus of the webcast. HNSciCloud, with Grant Agreement 687614, is a Pre-Commercial Procurement Action sponsored by 10 of Europe’s leading public research organisations and co-funded by the European Commission.